Philosophy and Goals Chibi Chan Preschool and Chibi Chan Too offer a nurturing and stimulating environment for children age 2 to 5 years old. To support each child’s unique developmental stage, we introduce new concepts according to their individual ability and age. Our curriculum is based upon a Project Approach, which is an in-depth investigation on a topic that is close to the children's personal experiences and promotes sustained, long-term interest in learning. Throughout the year, we also include many multicultural themes into our curriculum as we value diversity and the communities around us. In 2007, Chibi Chan Preschool was selected as a Preschool For All (PFA) site. This city initiative provides all San Francisco four-year-olds with universal access to high quality, free part-day preschool programs. Participants will receive free part-day preschool (3.5 hours a day) off the school’s regular tuition rate. **Please inquire about Preschool For All (PFA) rates. Chibi Chan Preschool and Chibi Chan Too provide equal treatment and access to services, and does not discriminate according to race, creed, color, national origin or ancestry. Chibi Chan Preschool and Chibi Chan Too are no longer accepting applications for Fall 2019. Chibi Chan Preschool and Chibi Chan Too are accepting applications for Fall 2020. *Note: No longer accepting applications for children born in 2016 for the Fall 2020-2021 school year. Online Enrollment Form | Admissions & Waiting List Procedures Before we can place your child on the wait list, we must receive your $100 non-refundable fee. 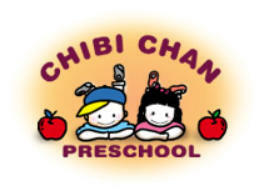 Chibi Chan Preschool 2507 Pine Street San Francisco, CA 94115 For more information, contact Shana Kanzaki. Phone: (415) 351-0955 Fax: (415) 351-0950 Email: ccps@jcyc.org License #: 384000923 Site Director: Lisa Ma. Chibi Chan Too 800 Presidio Ave San Francisco, CA 94115 For more information, contact Shana Kanzaki. Phone: (415) 660-7745 Email: ccps@jcyc.org License #: 384002962 Site Director: Jennifer Yip. Read more about Chibi Chan Preschool Expanding To Booker T. Washington Community Service Center. 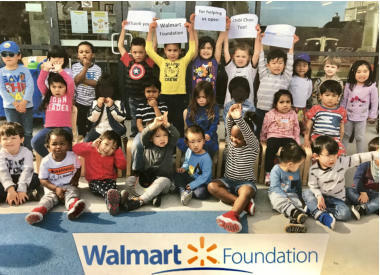 Hours of Operation for Both Sites: Monday through Friday from 7:30 a.m. to 6:00 p.m.
Chibi Chan Too students thank the Walmart Foundation for being one of the major supporters of Chibi Chan Too. Chibi Chan Preschool & Chibi Chan Too Chibi Chan Preschool 2507 Pine Street San Francisco, CA 94115 For more information, contact Shana Kanzaki. Phone: (415) 351-0955 Fax: (415) 351-0950 Email: ccps@jcyc.org License #: 384000923 Site Director: Lisa Ma. Chibi Chan Too 800 Presidio Ave San Francisco, CA 94115 For more information, contact Shana Kanzaki. Phone: (415) 660-7745 Email: ccps@jcyc.org License #: 384002962 Site Director: Jennifer Yip. Read more about Chibi Chan Preschool Expanding To Booker T. Washington Community Service Center. Hours of Operation for Both Sites: Monday through Friday from 7:30 a.m. to 6:00 p.m. Philosophy and Goals Chibi Chan Preschool and Chibi Chan Too offer a nurturing and stimulating environment for children age 2 to 5 years old. To support each child’s unique developmental stage, we introduce new concepts according to their individual ability and age. Our curriculum is based upon a Project Approach, which is an in-depth investigation on a topic that is close to the children's personal experiences and promotes sustained, long-term interest in learning. Throughout the year, we also include many multicultural themes into our curriculum as we value diversity and the communities around us. In 2007, Chibi Chan Preschool was selected as a Preschool For All (PFA) site. This city initiative provides all San Francisco four- year-olds with universal access to high quality, free part-day preschool programs. Participants will receive free part-day preschool (3.5 hours a day) off the school’s regular tuition rate. **Please inquire about Preschool For All (PFA) rates. Chibi Chan Preschool and Chibi Chan Too provide equal treatment and access to services, and does not discriminate according to race, creed, color, national origin or ancestry. Chibi Chan Preschool and Chibi Chan Too are no longer accepting applications for Fall 2019. Chibi Chan Preschool and Chibi Chan Too are accepting applications for Fall 2020. *Note: No longer accepting applications for children born in 2016 for the Fall 2020-2021 school year. Online Enrollment Form | Admissions & Waiting List Procedures Before we can place your child on the wait list, we must receive your $100 non-refundable fee. The Walmart Foundation was one of the major supporters of Chibi Chan Too.